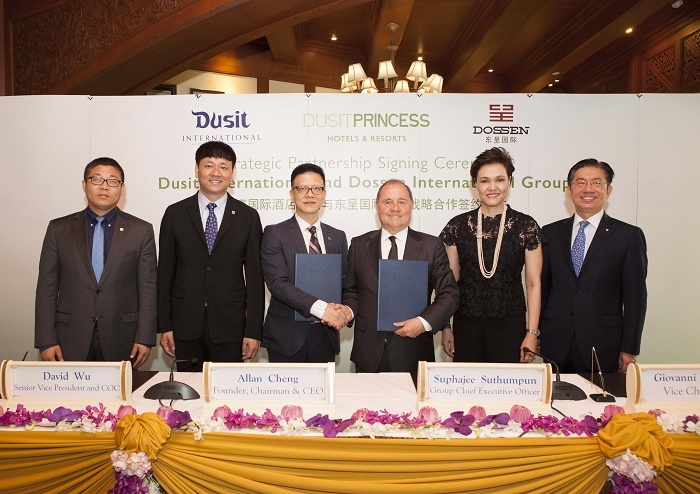 Bangkok, 23 May 2017 – Thailand-based, global hospitality company Dusit International has signed a strategic partnership with Dossen International Group, one of the fastest growing hotel groups in China, to operate and develop DusitPrincess resorts and residences in China. In line with Dusit’s strategy for sustainable and profitable growth, which includes aggressive expansion in China, Dossen aims to sign at least 40 DusitPrincess properties in major leisure destinations throughout China within the next five years. Twenty-seven of these properties are expected to open before 2022, with the rest to follow in subsequent years. To date, Dossen operates more than 1,200 hotels under eight brands in over 200 cities worldwide. China’s tourism industry has seen unprecendented development in recent years following the continuous development of the country’s ecomomy. The World Tourism Organization predicts China will become the largest travel destination by 2020, with an estimated 137.10 million international arrivals, equating to 8.6 per cent of the global share. With per capita income in China increasing at an average 11 per cent per year since 2010, domestic tourism has also risen significantly, leading to a growing demand for quality leisure and wellness holiday destinations within the country. Dusit believes its new partnership with Dossen Hotel Group will facilitate the rapid expansion of the DusitPrincess brand within China, allowing Dusit to focus on scaling its luxury and upscale brands as well as city hotels, while Dossen explores development options for DusitPrincess branded resorts and resort residences. Dusit International was founded in 1948 by Honorary Chairperson Thanpuying Chanut Piyaoui, whose ﬁrst hotel was the Princess on Bangkok's New Road. Today the company is a leader in hotel management, franchising and education and comprises a unique international portfolio of distinctive hotels and resorts operating under four brands: Dusit Thani, dusitD2, Dusit Princess and Dusit Devarana. The company currently operates 29 properties worldwide and has over 50 confirmed projects in the pipeline in key destinations such as Australia, Bhutan, China, Indonesia, Kenya, Myanmar, Oman, Philippines, Qatar, Saudi Arabia, Singapore, Thailand, Turkey, and UAE. Dusit International also operates the signature Devarana Spa and has a fast-growing Education Division. The latter, established in 1993, comprises Dusit Thani College, which offers vocational and postgraduate hospitality degrees at campuses in Bangkok and Pattaya; Le Cordon Bleu Dusit Culinary School; and the recently opened Dusit Thani Hotel School, which is Thailand’s first hospitality school based on the ASEAN Common Competency Standards for Tourism Professionals. In 2018 Dusit will open the pioneering Dusit Hospitality Management College, a unique fully integrated hospitality school and hotel in Manila, Philippines. Established in 2006, Dossen operates more than 1,200 hotels under eight brands in over 200 cities worldwide. Ranked among China’s top hotel groups, the company has more than 20,000 employees, over 10 million loyal members, and over 2 million active Wechat members. 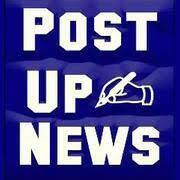 The company serves almost 100,000 guests every day – close to 40 million guests each year. Dosssen’s portfolio of brands include Echeng Hotel, Echarm Hotel, Borrman Hotel, City Comfort Inn, JTour Inn, Immersing Hotel, Polton Hotel, and Nice to Meet U Hotel. The company has a strategic partnership with Marriott Hotels to operate Fairfield By Marriott in China, and also operates Da Cheng Finance Company, offering financial services for hospitality companies.